Leslie Marie Aguilar originally hails from the heartland of Texas. She has served as the Poetry Editor of Harbinger Journal of Literature and Art and the Poetry Editor of Indiana Review, where she previously worked as Associate Genre Editor and Web Editor. Her writing has appeared or is forthcoming in BorderSenses, Bellingham Review, Hobart, Southern Indiana Review, Stirring: A Literary Collection, The Boiler, Iron Horse Literary Review, fields, Phoebe, Río Grande Review, Hotel Amerika, Ninth Letter, Looseleaf Tea, The Más Tequila Review, Spillway, Rattle, Emerge Literary Review, San Pedro River Review, Indiana Review, Callaloo, Chicago Quarterly Review, Sonora Review, and Washington Square Review among others. 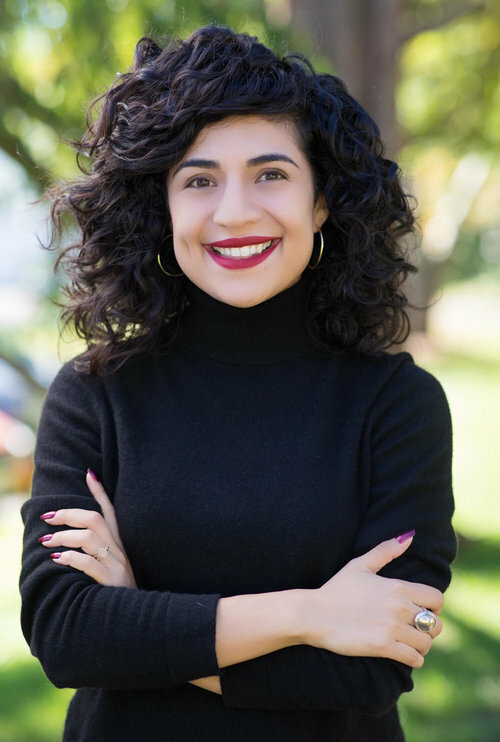 Aguilar’s poetry has been awarded a National Society of Arts and Letters Chapter Career Award, the David E. Albright Memorial Award, and was chosen by D. A. Powell as the recipient of the 2014 Washington Square Poetry Award. Her poems were also finalists for the 2014 49th Parallel Poetry Award, the 2014 New Letters Poetry Award, and the Andrés Montoya Poetry Prize. She received her MFA from Indiana University and is a Fine Arts Work Center Fellow.